PESHAWAR -- Pakistan plans to plant 10 billion trees under its "Plant for Pakistan" project during the next five years. On September 2, Prime Minister Imran Khan formally launched the project as an integral part of "Clean Green Pakistan," a broader initiative aimed at reducing pollution and providing a clean and green country to future generations. He kicked off the campaign by planting a sapling in Haripur and urged his compatriots to make the country green. "If we don't start planting trees now, the whole country could become a desert," said Khan at the ceremony in Haripur District, Khyber Pakhtunkhwa (KP). About 1.5 million trees were planted across the country on the inaugural day of the project, media reported. The project is expected to kick into high gear starting in January 2019. "The mechanics of the project are presently being worked out in consultation with provinces, and soon we will chalk out an implementation framework," said Malik Amin Aslam, an advisor to the prime minister on climate change. "We aim to have the project ready with the financial outlay along with the implementation plan before the winter planting season," Aslam told reporters at the ceremony. Aslam, who is the architect of the Billion Tree Tsunami Afforestation Project (BTAP) under which workers planted 1.18 billion trees in KP between 2015 and 2018, said that the BTAP has been extended to the whole of the country. The federal government launched the "Plant for Pakistan" project after taking into account the "enormous benefits" of the BTAP model and Prime Minister Khan's policy of making Pakistan green, Mohammad Tehmasib Khan, the project director for BTAP, told Pakistan Forward. Under the BTAP, workers forested more than 600,000 hectares of land during the past four years, which helped reduce the impact of climate change by sequestering 0.04 gigatonne of carbon, Tehmasib said November 5. "The ambitious plan of planting one billion trees increased KP's forest cover by 6.3%," he said. "It not only helped control high temperatures in the southern districts of KP but also provided more than half a million jobs in the province." "We are ready to provide technical assistance and share our experiences of the BTAP model with all the provincial governments to help them in planting billions of trees," Tehmasib added. "The Planning and Development Department of KP has earmarked Rs. 890 million [$6.6 million] for the initiation of work for 'Plant for Pakistan' in the province," Mohammad Tariq, a forest officer in KP, told Pakistan Forward November 5. These funds will be used for purchasing saplings, establishing nurseries to distribute saplings, levelling soil, creating reservoirs and training youth about planting trees. "The groundwork has begun to implement this ambitious plan, and hopefully, practical work will start in the upcoming plantation season in mid-February 2019," he said. "Pakistan is one of the top seven countries in the world most affected by global warming, and projects like 'Plant for Pakistan' are necessary for saving the future of our coming generations," Mohammad Abu Bakkar, an environmental journalist seeking a master's degree in journalism at Cardiff University in Wales told Pakistan Forward November 10, citing Greenwatch's Global Climate Risk Index 2018. Only 1.9% of Pakistan's territory is forested, he said, the lowest percentage in South Asia. "The project is very ambitious but seems achievable," Bakkar said. Ten billion trees in five years mean two billion trees each year, or roughly 5.4 million trees a day, he explained. With the involvement of environmentalists, the general public, civil society, students and concerned government departments, the target is feasible, he added. I want plantation trees of my 40 kanal area .but how its expensive to buy . 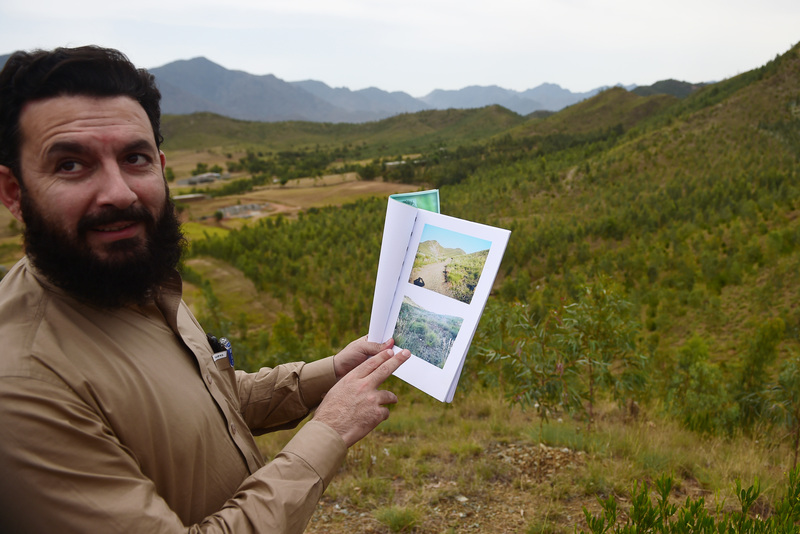 Hundreds of millions of trees have been planted to fight deforestation in the Heroshah region of Malakand District. 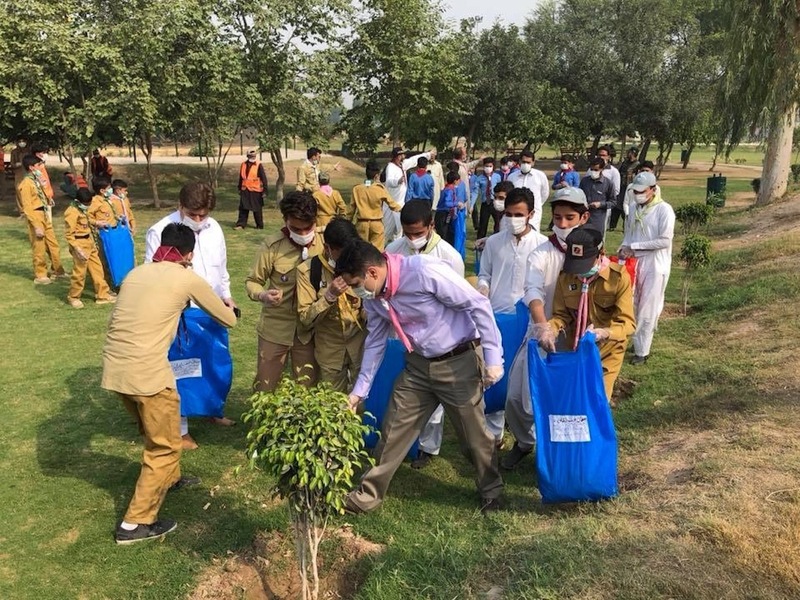 The cleanup is aimed at reducing pollution in Pakistan, including in the air and water, and at providing a clean and green country to future generations.